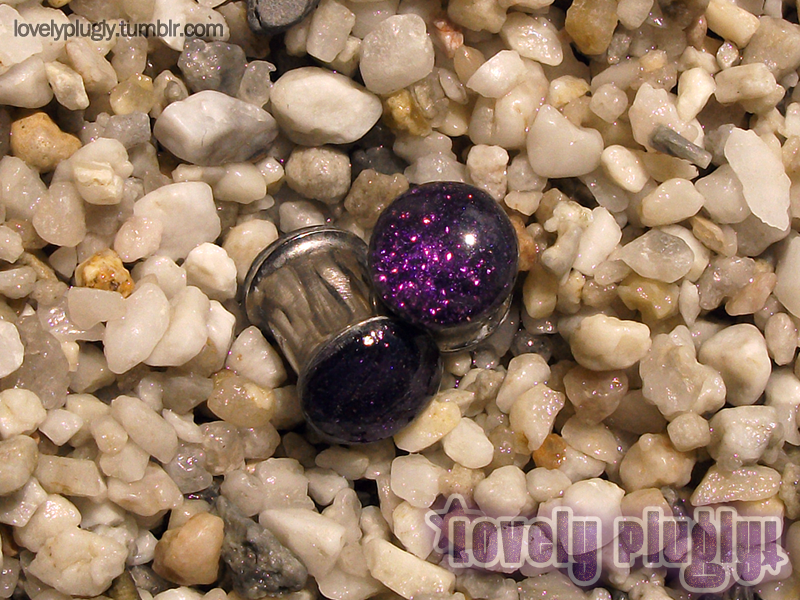 8mm (0g) stainless steel purple Glitter plugs. Double flared. Colour shifts from purple to pink to gold to blue, depending on the light.